Photo courtesy of Valverde Hotel. 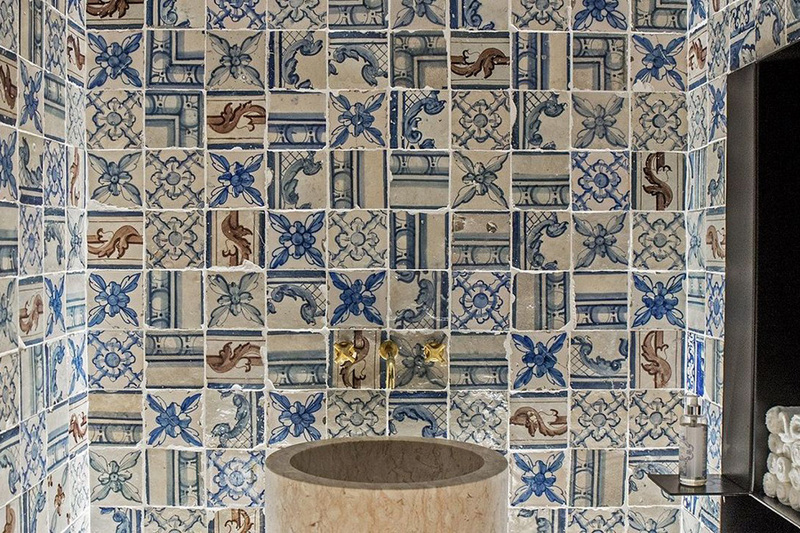 There’s no denying it: Lisbon is having a moment. The City of Seven Hills has some of the best weather, abundant seafood, and tons of cute, design-centric hotels at a reasonable price point. 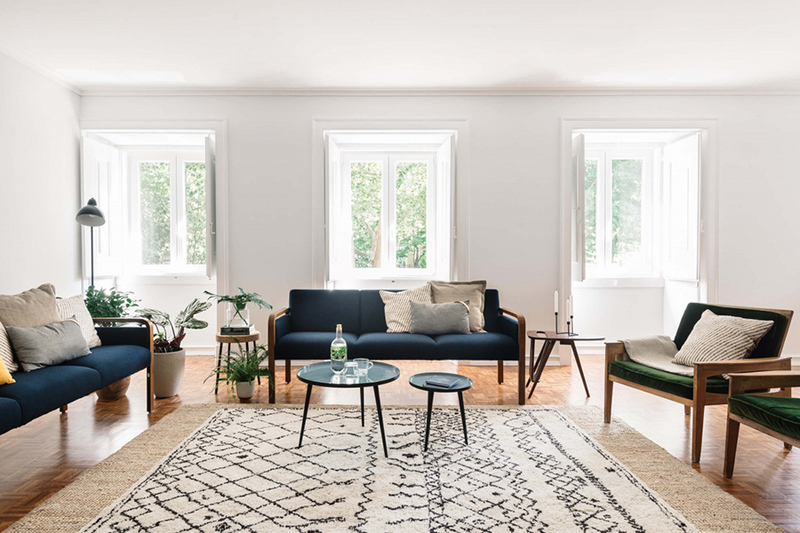 We asked the Portuguese sisters behind travel website JO&SO, our go-to resource for hotel recommendations in Portugal, for a list of their favorite boutique spots in Lisbon. A bathroom with a view. Photo courtesy of Memmo Alfama. The rooftop infinity pool. Photo courtesy of Memmo Alfama. This hotel is perfect for couples. 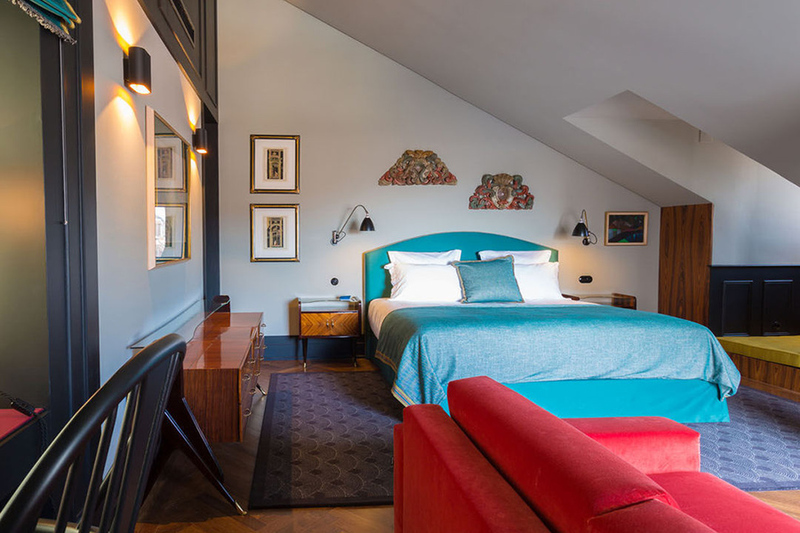 Atmosphere: The first boutique hotel in the city’s oldest neighborhood has 42 bright, airy rooms that feel like a mash-up of contemporary Scandinavian and Portuguese styles. 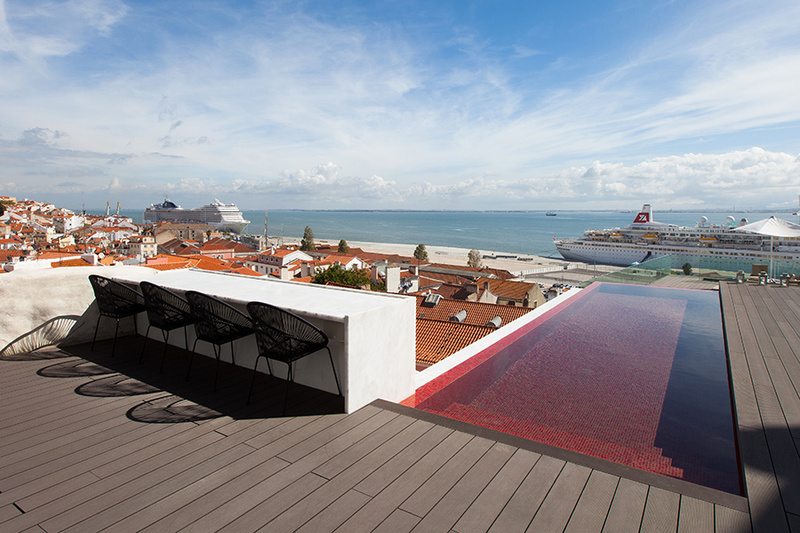 Perks: A rooftop terrace with a red infinity plunge pool and glorious views over Alfama’s rooftops and the Tagus River. The hotel doubles as an art gallery. Photo courtesy of Hotel 1908. There's art around every corner. Photo courtesy of Hotel 1908. This hotel is perfect for hip travelers. Atmosphere: A new spot set in a gorgeous building (circa1908) in the most up-and-coming and multicultural part of town. 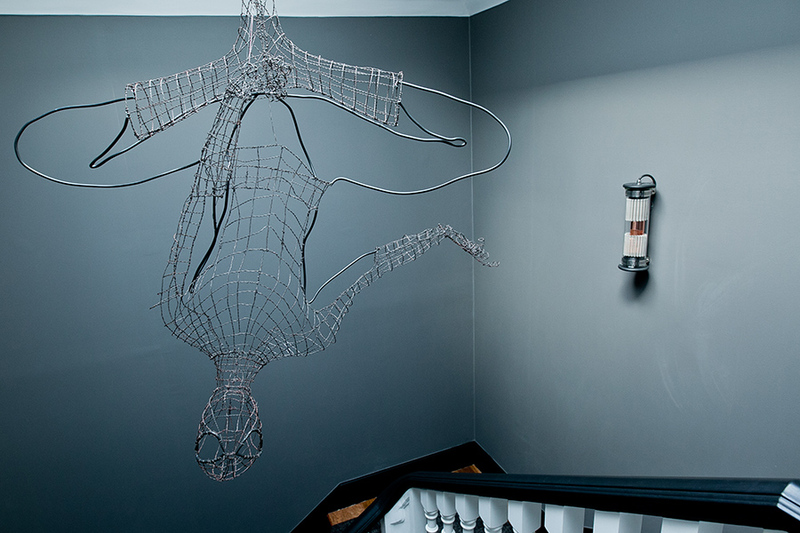 Perks: The hotel is also a gallery featuring pieces by contemporary Portuguese artists Vanessa Teodoro, Bordallo II, David Oliveira, and Irmãos Marques. Modern minimalism. Photo by Nelson Garrido. 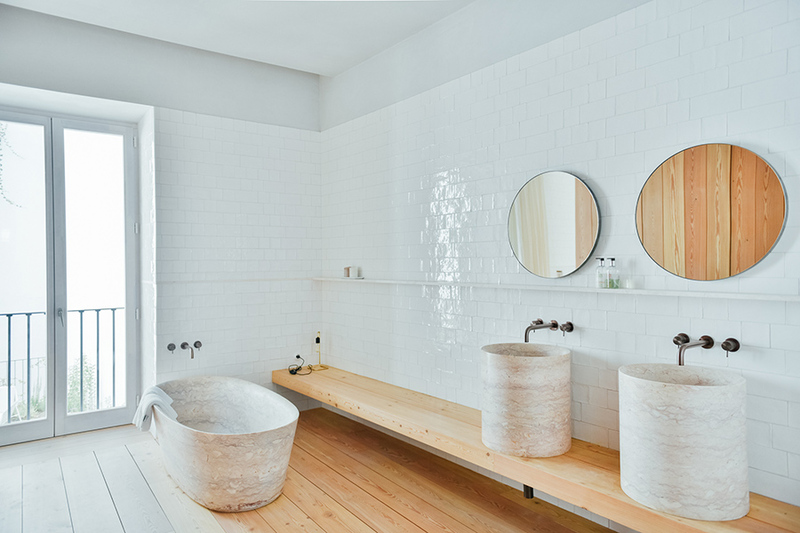 Even the bathroom is exquisite. Photo by Sivan Askayo. This hotel is perfect for architects and designers. 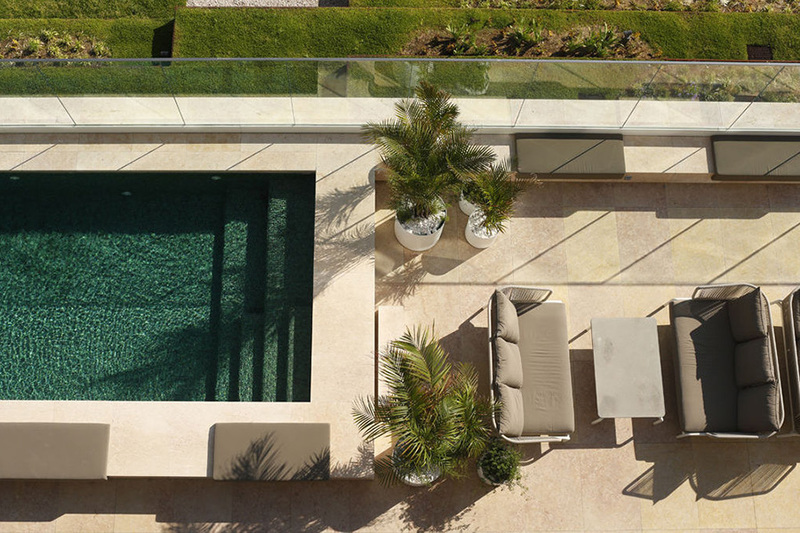 Atmosphere: Serene design by local architect Manuel Aires Mateus. The setting is a refurbished 18th-century building offering six spacious rooms, a communal dining table, and a secluded garden. Perks: On the hotel’s doorstep you’ll find the legendary flea market Feira da Ladra, which is open every Tuesday and Saturday. 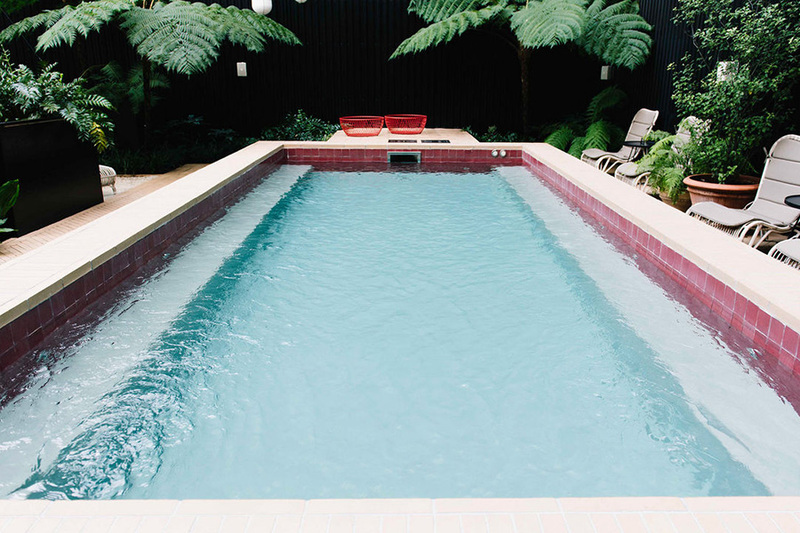 A pool worth traveling for. Photo courtesy of Memmo Príncipe Real. Beautiful tile mosaics. Photo courtesy of Memmo Príncipe Real. This hotel is perfect for luxury lovers. 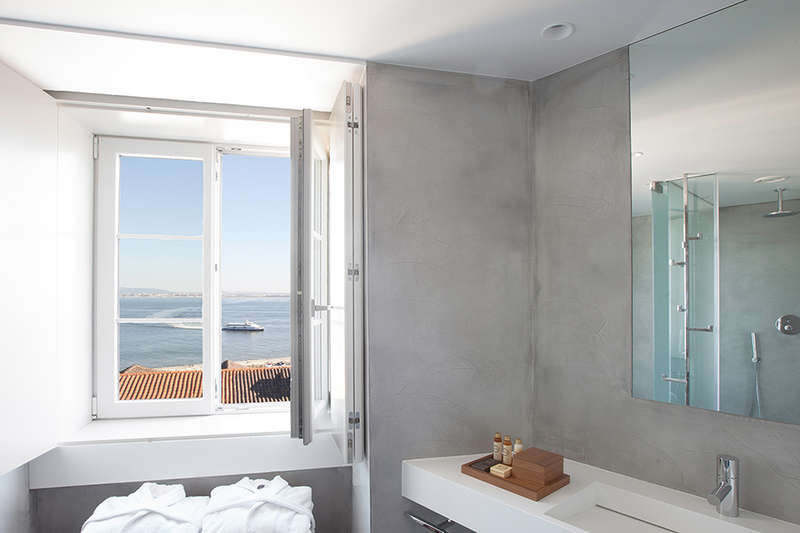 Atmosphere: A recently opened 5-star boutique hotel in Lisbon’s trendiest neighborhood doubles as a secret sightseeing spot — the city views are breathtaking. From the same owners of the amazing Memmo Alfama. Perks: The neighborhood remains a residential district filled with gardens, a couple of the city's most tranquil squares, and colorful mansions. Portuguese charm. Photo courtesy of Casa das Janelas com Vista. An eclectic mix. Photo courtesy of Casa das Janelas com Vista. This hotel is perfect for those looking for a homey vibe. Atmosphere: A beautiful B&B on a peaceful street in one of the city's hippest neighborhoods has superb views. Perks: Very cool and cozy open living room and kitchen. 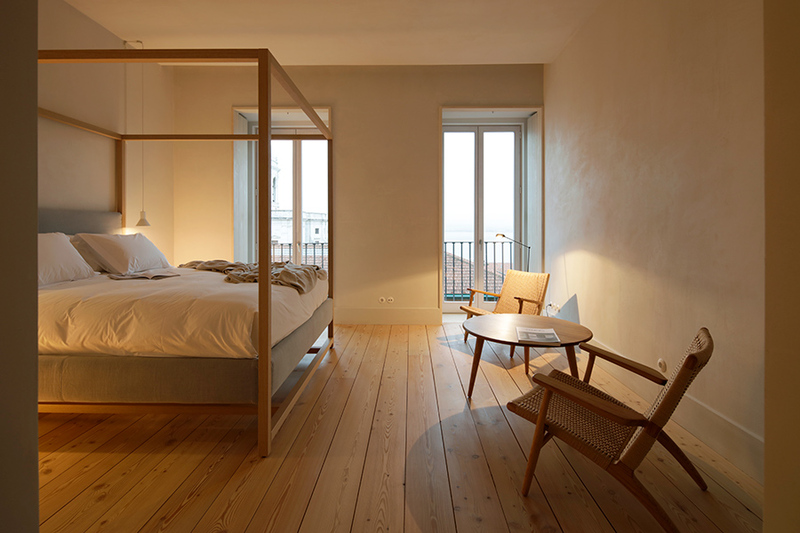 The comforts of home in Lisbon. 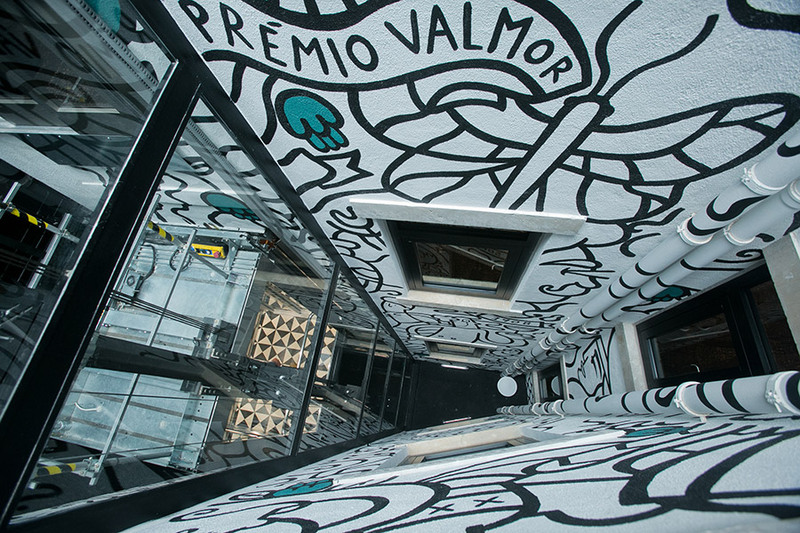 Photo courtesy of Valverde Hotel. Tiny pool, a lot of fun. Photo courtesy of Valverde Hotel. This hotel is perfect for boutique shopping enthusiasts. Atmosphere: 5-star, decorated in warm colors, on the upscale Avenida da Liberdade. There is an inviting patio and small swimming pool. Perks: Locals hangout here for brunch at the patio or at the bar for after-work cocktails. The ideal refuge from busy Lisbon. Photo courtesy of Casa C'Alma. 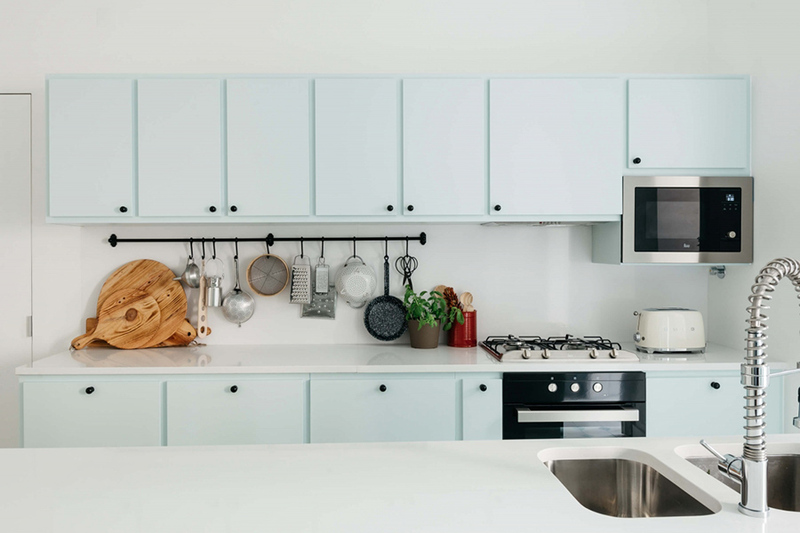 A Mint-colored kitchen is always chic. Photo courtesy of Casa C'Alma. 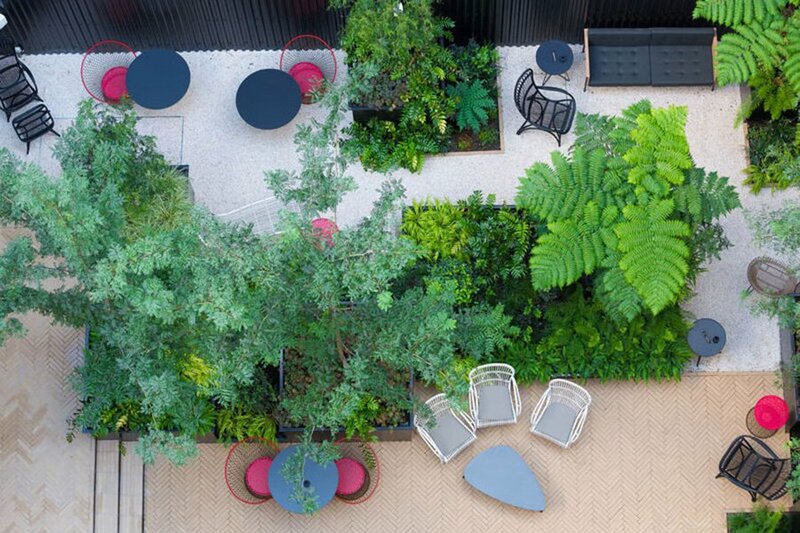 This hotel is perfect for Scandi design enthusiasts. 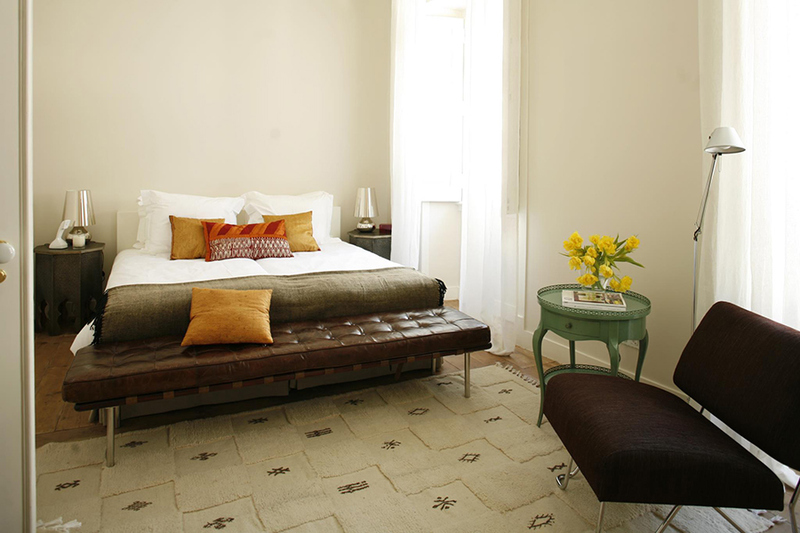 Atmosphere: A boutique guesthouse with only five rooms overlooking a charming little park in trendy Principe Real. Perks: A small but might library of books and magazines. Read our Q&A with the sisters behind JO&SO, follow them on Instagram, and subscribe to their newsletter. 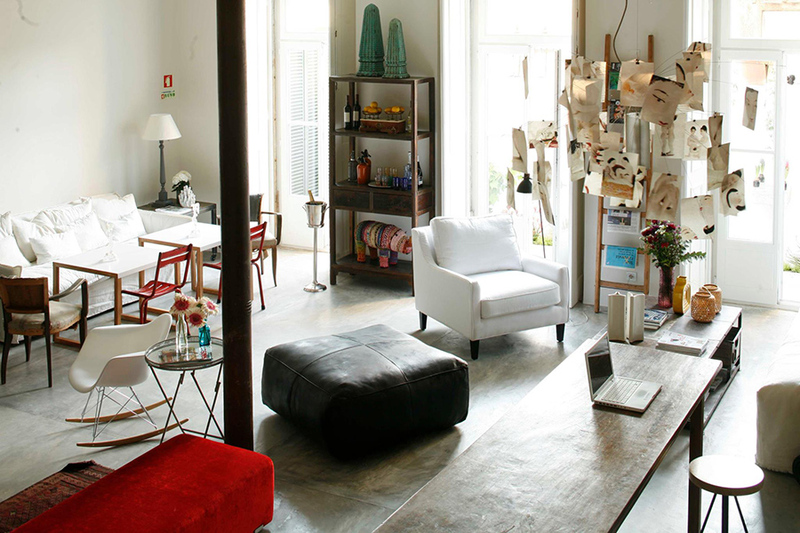 Joana and Sofia are two Portuguese sisters behind JO&SO, a collection of cool places to stay in Portugal. You can follow them on Instagram or Facebook. They travel for the passion they have for design, special hotels, and their home country.